Robert is the principal and Managing Partner of the Practice which was established by his late father John C Kieran in Ardee in 1932. 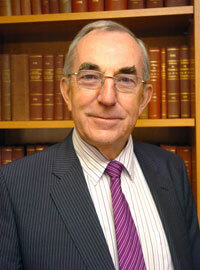 Robert completed his Secondary Education at Clongowes Wood College, Co Kildare and subsequently graduated with a BCL from UCD in 1968 and qualified as a Solicitor in 1969. Robert has worked in the Practice since 1969. Robert is now 41 years in the Practice and specialises in the areas of Litigation, Probate, Conveyancing and Taxation matters. 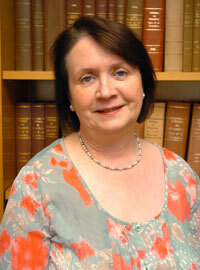 Eithne graduated from UCD with a BCL (Hons) degree in 1974. She completed her apprenticeship with the firm of Brendan Breathnach & Co in Dundalk which Practice had been established by her late father, who served as County Registrar for County Louth from 1960 to 1992. Eithne joined the Practice in November 1975 on her admission as a Solicitor and has remained with the Practice since then. Eithne has had thirty five years continuous practise and specialises in the areas of Conveyancing, Landlord and Tenant, Probate and related taxation matters. 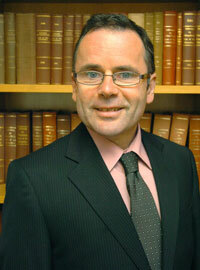 Martin completed his secondary education at St Mary’s College Dundalk and studied Law at UCD from 1980 to 1983. Having graduated with a BCL degree in 1983 he successfully completed the Law Society entrance exams in 1983 and commenced his apprenticeship with Bernard L Gaughran, Solicitor, Dublin. 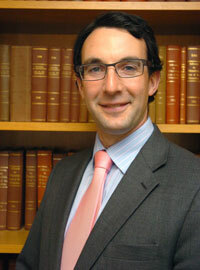 Martin was admitted as Solicitor in 1987 having joined the Practice the previous year. Martin has conducted litigation before the District Court in both Civil and Criminal defence in Counties Louth, Meath and Monaghan and occasionally in Dublin since joining the Practice. Martin has also been involved in Civil Litigation in the Circuit Court and High Court. His current area of practice is predominantly in Conveyancing and Personal Injury litigation. John completed his secondary education at Clongowes Wood College, Clane, Co Kildare in 1997 and went on to study Law at Portobello College, Dublin until 2000. Having graduated with an LLB Degree in 2000 he successfully completed the Law Society entrance exam in 2002. He was admitted to the Role of Solicitors in 2005. John has worked with John C. Kieran & Son Solicitors since 2000 having served his apprenticeship in this office. He became a Partner in 2007. His current area of practice is Conveyancing, Wills and Estate Planning and all Litigation. 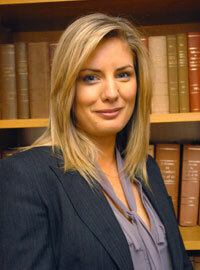 Nicola graduated from University College Cork with a BCL (Hons) degree in 2003 and also has a Diploma in Legal Studies. Nicola joined the Practice in 2003 after having successfully completed the Law Society examinations. She completed her apprenticeship with the firm and was admitted to the Role of Solicitors in 2007. Her principal areas of practise are Conveyancing, Landlord and Tenant and Probate whilst also having a special interest in Civil Litigation, Debt Collection and Family Law. In 2010 Nicola was also admitted as a Solicitor in England and Wales.